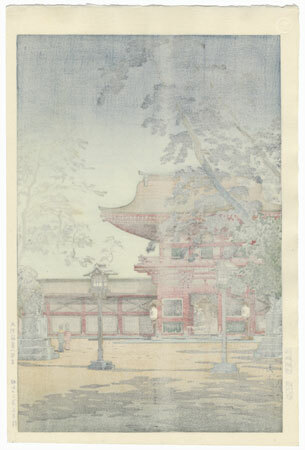 Comments - Lovely scene of the Hakozaki Hachimangu Shrine in Kyushu. Tall pine trees frame the view, casting a dappled shade across the grounds below. 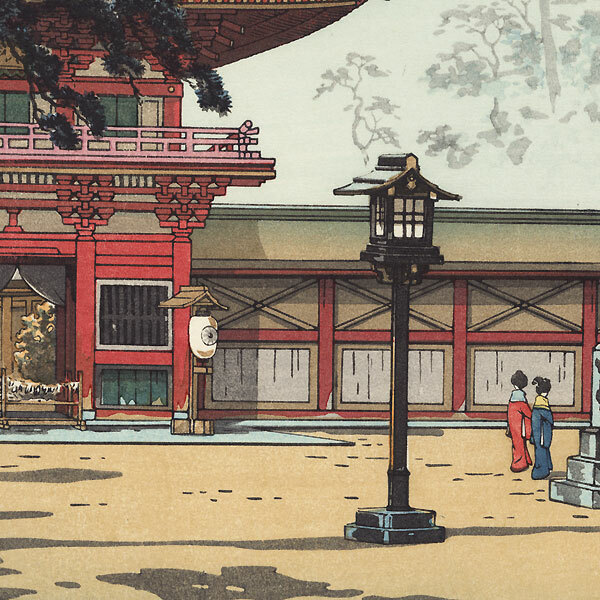 Lanterns on tall pillars flank the entrance gate of the building, with two women in colorful kimono strolling past a stone lion statue at right. 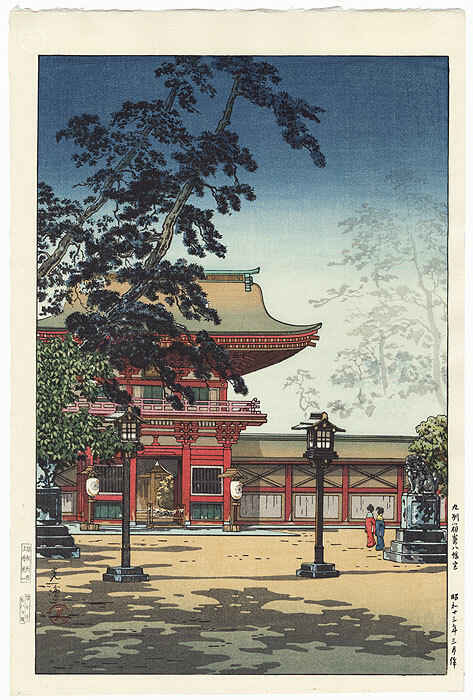 An attractive design with beautiful bokashi shading in the sky and ground. A nice choice for display.